Kitchen renovations are exciting, and it’s very possible that you’ve been planning and saving for this renovation for months or even years. 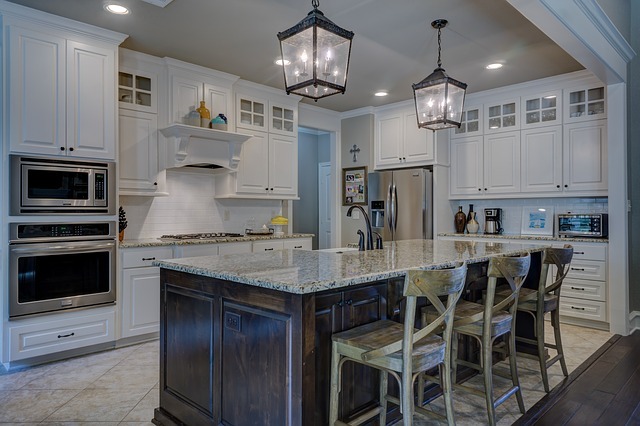 Although kitchen renovations can even transform your lifestyle once the project is finished, the job is complex enough that you need a contractor that is qualified and will get the job done right the first time. When you’re hiring a contractor, there are several things that you should be asking them so that you know you’re choosing the right person. Here are seven questions you should get answers to from the person you’re thinking about using as a contractor. There are two basic kinds of contracts that contractors use: the cost-plus contract and the fixed contract. In a fixed contract, you get a fixed price. If you agree to pay $15,000 to the contractor, that’s all you pay, regardless of how long it takes him to finish the work or how much he spends on materials and labor. In a cost-plus contract, you’ll pay a certain amount to your contractor as your profit, and you’ll also pay for materials, but if the contractor goes over budget, you get stuck paying for what he goes over on. This second scenario can be especially problematic because your contractor can low-ball on the offer then raise the price after you’ve signed the contract. What Are Your Credentials and Warranties? Believe it or not, some contractors work without the proper licensing. While it might seem okay to let someone do the work for you if they seem like they know what they’re doing, this can turn into a bad idea pretty quickly. Licensing ensures that the person doing the work for you is insured. If the contractor isn’t licensed, you might get stuck with the bill if something with the work goes wrong. Along with licensing, you should also ask if they have a warranty for their work. What Schedule Will the Project Be On? When you’re doing a renovation, you’ll want to know about how long the project will take. A good contractor, even for big jobs, should be able to tell you if the project will take a couple of days or a couple of weeks. You also want to ask them if they have any other projects in their schedule. Contractors can sometimes overschedule themselves, which means that your job gets put to the backburner. Additionally, especially if your project is going to last more than a couple of weeks, you’ll want to know if and when you’ll be able to use certain parts of your kitchen. It’s pretty common for contractors to hire subcontractors. For instance, if you needed some new plumbing put in and some wiring finished, your contractor will likely hire two subcontractors to do the work. While this is very common, you want to know who the subcontractors are. Then, you want to do some research on each of the subcontractors. You don’t want to find out six months later that there’s something wrong with the electrical. Homeowners often complain that the contractor didn’t communicate well enough. You might wonder why the contractors weren’t at your house for four days, or you probably want to know if one of your appliances didn’t ship on time. If you want to have a better idea of what kind of communication you can expect, just ask before you sign the contract. Ask them how often they’ll communicate with you and what form they’ll communicate with you in? Will they talk to you in person? Even by simply broaching the question of communication, you’re laying the foundation of communication by letting them know that you want to receive updates. You might choose to work with someone who has only been in business for a few months, but if you decide to do this, choose carefully. Businesses that have been around for at least a couple of years have the experience to ensure that projects are completed in a timely fashion and that the work is of high quality. It’s not that newer businesses won’t complete a project on time or to your satisfaction, but most businesses go through some growing pains in the first few years, so you’re usually safer if you go with a company that’s been in business for a while, such a Brisbane Kitchen Renovations Unique Design. If you want to work with a newer business, one strategy you can try is to work with them on a smaller project first, and then you can decide later if you think that they’re up to the larger project. What Kind of Property Protection and Cleaning Do You Do? When you have people on your property working, they’ll likely make a mess each day. You want to ask the contractor what they do to clean up after they leave each day. And if they’re leaving equipment on your property, where do they plan on storing it. If they have something heavy that they want to store in the garage, you’ll need to make sure that you have enough space and that there is plenty of room for anything else that you need to keep there. Finally, you’ll want to ask them how they plan on protecting your property. If they’re going to be on your carpeting, will they use a carpet cleaner when they’re done to clean up any dirt they might have brought in on their boots? How will they ensure that dust from the construction in your kitchen doesn’t fly into other parts of the house? You’re probably excited to get a contractor into your home so that they can start on the project that you’ve been planning. But since you’ve been planning the project for a long time, make sure that you make a good decision on this important step.